The 44" x 100' roll of Siena 200G Glossy Photobase Paper from Magiclée is a bright white, resin-coated photobase paper with a universal microporous coating and a glossy finish. It offers instant dry times on most high speed thermal and piezo water-based ink jet systems with dye and pigment inks. 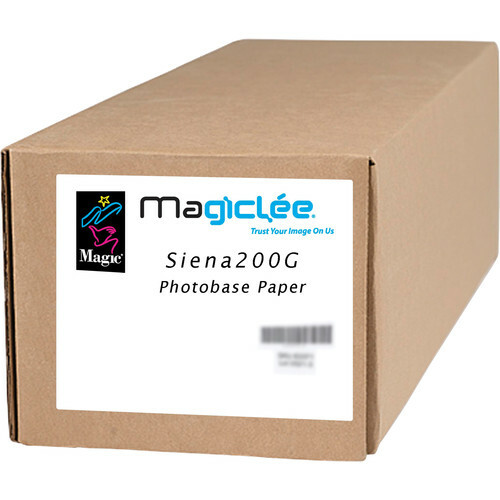 The Siena paper is medium weight and handles easily during printing and lamination. Box Dimensions (LxWxH) 47.0 x 7.0 x 6.5"